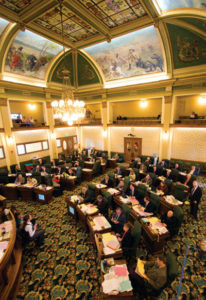 Welcome to the first issue of MEIC’s Capitol Monitor for the 2019 legislative session. As usual, you can expect to receive high-quality and up-to-date information on the session from MEIC. We expect that this session will be one of the most challenging in MEIC’s 45-year history. We hope that by communicating promptly and frequently with you—our members—you will be able to participate more effectively in our lobbying efforts. And—no kidding—we need your help. Our lobbyists cannot do it alone. Protecting the environment this session will require everyone’s efforts. So please use the Capitol Monitor and our website (www.meic.org) to become involved. Let’s protect the things that make Montana special. Legislators need to be told over and over that Montanans want clean air, clean water, clean energy, and the right to participate in government decision-making. If they don’t hear from you, it could be that they will only hear from well-heeled, self-interested lobbyists. It’s your choice. To become engaged and informed during the 2019 session, sign up for our list! The 2019 legislative session has officially begun, and MEIC’s motto for this session will be: “there’s no turning back the clock.” MEIC will do everything possible to make sure that the 66th Legislature does not roll back environment and public health protections. High on the list of things that need protecting are: the State’s “bad actor” law that prevents metal mine executives from obtaining a permit for a new hardrock mine if they left the State with the clean-up bill for a previous mine they were involved in; protecting renewable energy laws such as the State’s renewable energy standard and net metering (a.k.a., rooftop solar); and, of course, protecting existing air and water quality laws. There are already 3,055 bill draft requests from the 150 legislators, and that number will climb. Many of those draft bills will never be introduced, but many of them will be. Many of the bills related to the environment are certainly intended to weaken protections that have been on the books for decades. MEIC will review each introduced bill to see how it will impact climate change, fossil fuel giveaways, and clean energy. We will work to ensure that the Smith River mine proponents don’t further undermine environmental protections. And, as always, we will be there to make sure that everyone, not just wealthy corporations, have access to government decision making, and are able to actively and meaningfully participate when State government makes a decision that impacts the environment, public health, people’s livelihoods, or responsible property rights. As you know, coal is already being replaced by less expensive clean energy. Some people, including some of our legislators, believe that stopping clean energy development will help keep coal limping along. For the sake of the climate, water quality, clean air, and the pocketbooks of utility customers, we must stop the undermining of Montana’s clean energy future. Another high priority for MEIC is to make sure that energy resource decisions are made in the open instead of behind a veil of secrecy by utility companies or at the Montana Public Service Commission. It may seem like this is a dry, obscure topic, but it’s where decisions that affect our future are being made today. More transparency will help make sure those decisions about our energy future are in the interest of consumers and not just the utility. Together MEIC’s lobbying team and its members can make a difference. We look forward to working with you throughout the session to help lawmakers understand the importance of their votes on Montana’s future and its natural environment. 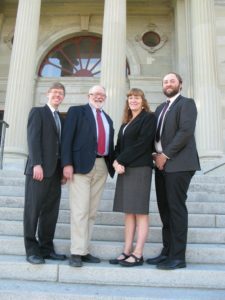 You can help by attending one of our volunteer lobby days, signing up for MEIC e-mail alerts, keeping up-to-date using the legislative bill tracker on our website at www.meic.org, calling or visiting your legislators, or coming to Helena and testifying before a committee on a bill you care about. We can help you help us. Together we can make sure the legislature does not turn back the clock on important environmental protections. making maximum use of both traditional and social media to publicize our issues and concerns. In short, there will be many ways to become involved and help protect Montana’s environment. Please plan on participating. MEIC and the environment need you now, more than ever. MEIC maintains and regularly updates a Legislative Bill Tracker that includes the important legislative proposals that could impact Montana’s environment. All of the bills on our bill tracker are categorized by issue, offer easy-to-understand descriptions, list MEIC’s position, and include a tool for contacting key legislators. MEIC will periodically publish issues of Capitol Monitor, and maintains a sign-up form to receive Capitol Monitor and other alerts by e-mail. 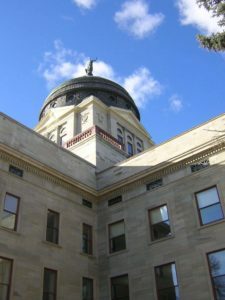 MEIC also maintains the MEIC Blog, and has frequent posts about environmental and energy issues affecting Montana, including relevant writings on the 2019 Montana legislative session. MEIC and other environmental organizations will hold “lobby days,” host legislative socials, and schedule membership meetings across the state to provide legislative updates. MEIC regularly updates its online events calendar, where you can learn the details of different events. MEIC is planning a legislative roadshow. Plan on attending a legislative social at a town near you. Join MEIC’s lobbying team for an Insider’s Guide to the Legislature, to find out what to expect and how you can be involved most effectively. Attend a legislative social event in January in Kalispell, Helena, Billings, Missoula, Bozeman, or Great Falls. Attend a Citizen Lobby Day! Please join us for a conservation lobby day during the 2019 legislative session. You’ll receive an exclusive training from policy experts in the conservation community on lobbying and a briefing on our priority issues. We’ll focus on critical legislation affecting clean energy, the Smith River, clean air, climate change, and land use. At our lobby day members and supporters will join friends and members from other conservation groups for a training starting in the morning in Helena. Then we will head up to the Capitol for lunch with legislators, and one-on-one appointments and hearings in the afternoon. Lobby days are currently scheduled for February 6th, and March 13th. There are 150 Montana Legislators (50 Senators and 100 Representatives).  MEIC maintains a profile of each Montana Legislator, including their contact information, legislative service, committee assignments, and previous MEIC voting records. You can also sort through the legislators by party affiliation, senate or house, and committee membership by using the selections on the right side-bar. By telephone: To leave a message for your legislator or for session information, call (406) 444-4800 between 7:30 a.m. and 5:00 p.m. Monday through Friday, and 8 a.m. until adjournment on Saturday. You may need to be patient; the line has been understaffed in previous years. Leading MEIC’s lobbying staff at the Capitol is Anne Hedges, MEIC’s Deputy Director. Anne joined MEIC in May 1993, and has lobbied every session since. She handles a wide range of issues that are important to MEIC members including energy, land-use planning, environmental policy, and air quality. Jim Jensen has been MEIC’s Executive Director since 1985. He attended Westminster College in Salt Lake City and holds a B.A. in Political Science from the University of Montana (1980). Jim will focus primarily on clean water and mining issues at the legislature. Derf Johnson, MEIC’s Water Program Direcotr, will be lobbying primarily on oil and gas development, hardrock mining, clean water, and energy issues. He is beginning his sixth year at MEIC. He is a graduate of the UM School of Law. Brian Fadie, MEIC’s Clean Energy Program Director, will be lobbying primarily on renewable energy and energy efficiency issues. Brian graduated from the University of Michigan School of Natural Resources and Environment in 2016. Malcolm Gilbert, MEIC’s legislative assistant, joins us for the 2019 legislative session with a broad background in biology and a penchant for environmental advocacy. He graduated from Seattle University with a B.S. in Biology in 2012, and has since worked in molecular biology and healthcare. During the summer and fall seasons, he is a fly fishing guide on the Smith and Blackfoot Rivers.In his free time, Malcolm is a trail-runner, backcountry/Nordic skier, cyclist, and responsible hunter. All of these hobbies are motivated in large part by his supercharged Chesapeake Bay retriever, Paco.